Boasting spectacular views of the Himalayas, Hotel Mohit provides homely accommodation with private bathroom facilities, a balcony and massage services. Wi-Fi is available for free in public areas. The New Jalpaiguri (NJP), Jalpaiguri Railway Station and Bagdogra Airport are located 80 km from the hotel. Siliguri Town is situated a 3-hour drive away. Mohit Hotel’s rooms are fitted with wood flooring, warm lighting and freshly laundered beddings. They have satellite TV, a writing desk and free toiletries for guests’ convenience. There is a library where guests can relax. Alternatively, the tour desk helps guests organise excursions to popular attractions. The hotel also offers services like laundry and currency exchange. The restaurant serves Indian, Chinese and European dishes. Tandoori specialities are also offered. A variety of beverages including local liqueurs are available at the bar. Guests can enjoy their meals in the privacy of their rooms. Situated in the heart of Darjeeling's tourist district, Treebo Dekeling Hotel offers spacious rooms with view of the mountain. The hotel has a restaurant, a tour desk and offers laundry services on request. Treebo Dekeling Hotel has a common living room and a library corner where guests can relax. Views of Darjeeling Town and the Kanchenjunga mountain range can be enjoyed from the hotel. The rooms are simple, featuring a desk, a fan and satellite TV. It also has a seating area and an en suite bathroom. The hotel is just 1 km from Darjeeling Bus Stand. Bagdogra Airport is about 98 km away, while the New Jalpaiguri Railway Station is situated 100 km from the hotel. Dekeva's Restaurant serves a selection of European, Indian, Tibetan and Chinese dishes. Local specialities can also be enjoyed. Room service is available. Enjoy recreation amenities such as a fitness center or take in the view from a garden. Additional features at this hotel include wireless Internet access (surcharge), babysitting/childcare (surcharge), and gift shops/newsstands. 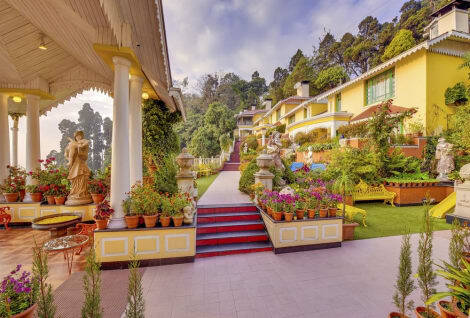 Central Heritage offers accommodations throughout the area in Darjeeling. When you stay at Summit Grace Hotel & Spa in Darjeeling, you'll be 13 minutes by car from Chowrasta. This spa resort is 2.2 mi (3.5 km) from Raj Bhavan and 2.6 mi (4.3 km) from Japanese Peace Pagoda. Pamper yourself with a visit to the spa, which offers massages, body treatments, and facials. Additional amenities at this Victorian resort include complimentary wireless Internet access, concierge services, and an arcade/game room. Make yourself at home in one of the 10 air-conditioned rooms featuring flat-screen televisions. Complimentary wireless Internet access keeps you connected, and satellite programming is available for your entertainment. Bathrooms have showers and complimentary toiletries. Conveniences include safes and desks, and housekeeping is provided daily. 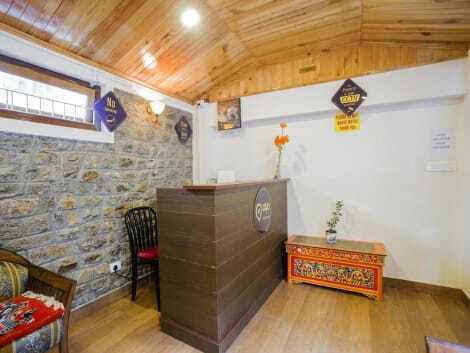 lastminute.com has a fantastic range of hotels in Darjeeling, with everything from cheap hotels to luxurious five star accommodation available. We like to live up to our last minute name so remember you can book any one of our excellent Darjeeling hotels up until midnight and stay the same night.